Secret Santa is a fun holiday tradition beloved by many. 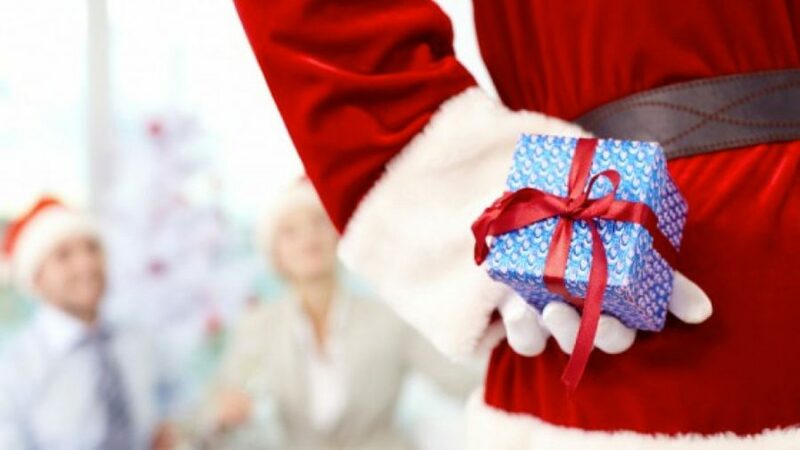 The holiday season is fast approaching, which, for many people means it’s Secret Santa season! This fun tradition has been taking place for several decades and has become many people’s favorite part of the holidays. 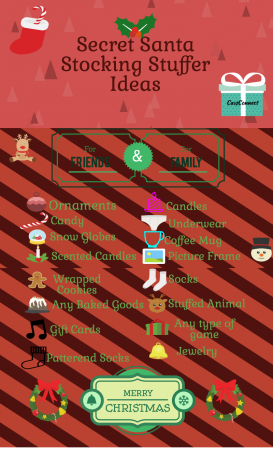 Below are some fun and helpful tips to make the sometimes stressful task of gift-giving a little bit easier this Christmas. Secret Santa is a fun holiday tradition that should always be taken seriously. A key tip is to not stick to one big gift. Try to gift little trinkets throughout the duration of the Secret Santa to brighten their day. A small gift or treat every day—which should slowly reveal your identity—becomes a fun game for both you and the person receiving. When picking gifts it’s important to not shop for yourself and keep the interests of your person in mind. Keeping track of little things they do can serve as inspiration when shopping for kick-knacks or food items they may like. If you are able to get a wish-list, try and stick to this list or use it for inspiration. It is important to use the wish-list as a guide to what your person’s likes and dislikes are; it will help you get one step closer to being the best Secret Santa ever! You can never go wrong with a DIY present. If you lack the inspiration, go on Youtube and find tutorials for fun and creative presents to gift this year! If arts and crafts aren’t your thing, use your creativity to buy a unique and well thought out present. You can always check the internet for inspiration, and if creativity is not your strongest suit, you can always ask a friend who is not partaking in the Secret Santa to help you come up with ideas. Although it might be tempting to stay under budget, refrain from re-gifting. Re-gifting comes off as lazy and rude. You don’t need to get people extremely extravagant presents, sometimes all you need to make your Secret Santa happy is a thoughtful card with some money or a gift card. “Like the name says, the whole point of Secret Santa is to keep your identity secret so you should try to not tell anyone who you got so you avoid people finding out,” freshman Sydney Lingenfelser said. Apart from these tips, the most important tip concerning this holiday tradition is to make sure to keep your identity a secret. Although it may be tempting to tell your friends who you got, doing so may lead to the person finding out, ultimately removing the entire purpose of the gift-giving being secret. Whichever way you decide to take part in Secret Santa, make sure you are having fun with it!